The Giants have had plenty of hits in the draft (think: Lawrence Taylor, Phil Simms and Odell Beckham, Jr.)... and plenty of misses. 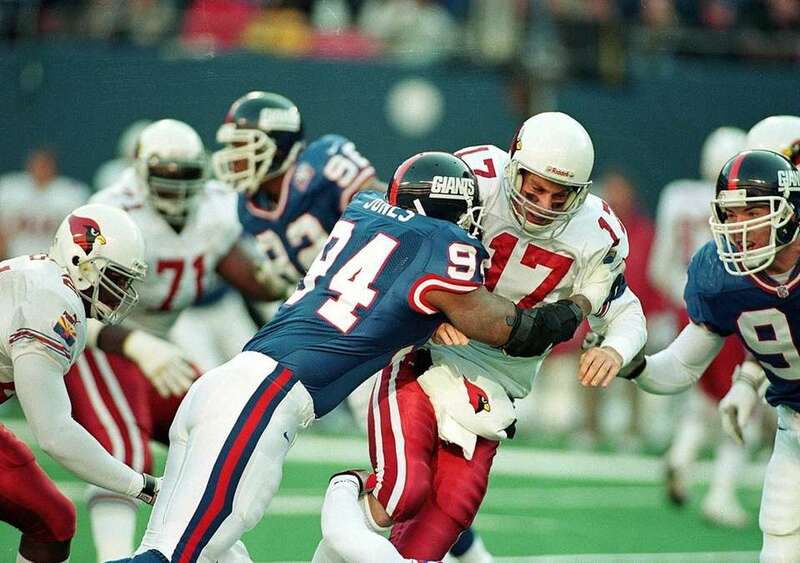 Newsday.com takes a look back at the 12 worst draft choices in New York Giants history. 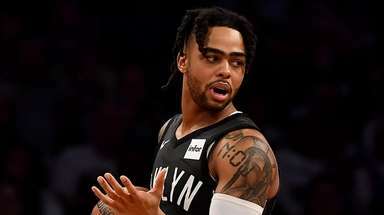 The Giants took a big risk when they used their first-round pick on Looney, who had been kicked off the team at Oklahoma for punching a graduate assistant coach. 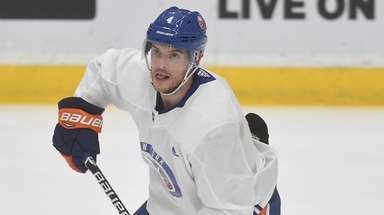 It backfired quickly, as Looney lasted only 25 days in Giants training camp (racking up more fines than the rest of the team combined had in the previous three season) before being traded to Baltimore. He played for five teams in five seasons before washing out of football. Longtime NFL Films president Steve Sabol called Looney the most uncoachable player he had ever seen. Fearful of getting into a bidding war with the AFL's Houston Oilers for the rights to a quarterback out of Alabama by the name of Joe Namath, the Giants used the first overall pick in the draft to select Frederickson, the SEC's MVP in 1965. As it turns out, the upstart Jets selected Namath one spot ahead of the Oilers before signing him to a then-record three-year, $427,000 deal. Frederickson never ran for more than 700 yards in a season before suffering a career-ending knee injury in 1971. 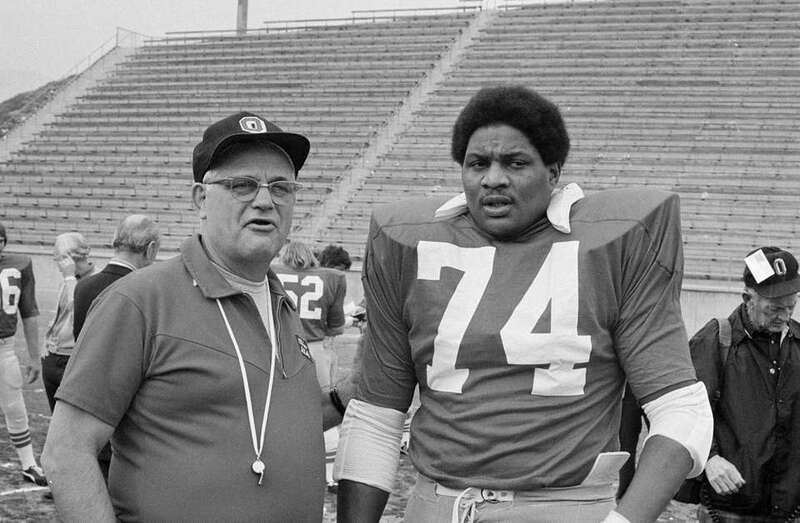 One of the greatest offensive linemen in college football history -- he finished second in the Heisman Trophy voting in 1973 -- Hicks was viewed as a can't-miss when he was selected by the Giants with the third overall pick. Hicks never lived up to the hype, dealing with myriad injuries before being traded to the Steelers before the 1978 season. He never played a down in Pittsburgh. The bruising Bunch was expected to form a powerful tandem with Rodney Hampton. 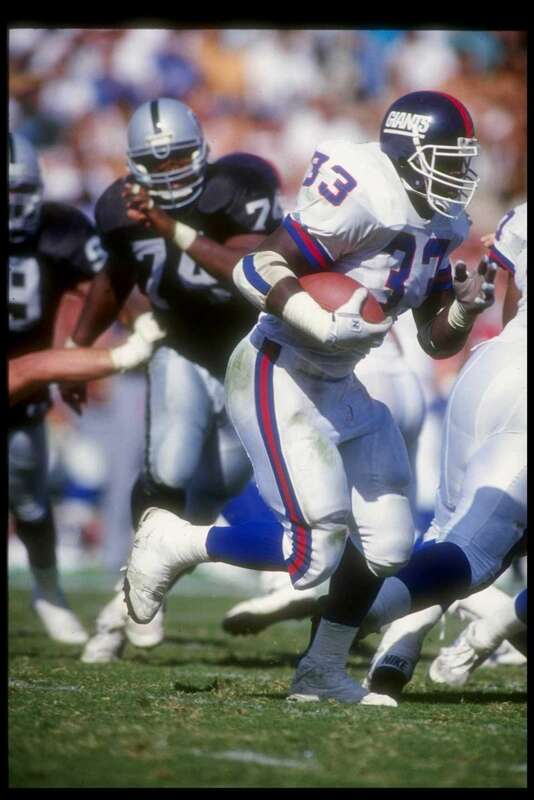 He finished second in the NFL in yards per carry in 1992 (4.8) but suffered a knee injury during training camp in 1993 and never played for the Giants again. He's doing pretty well for himself these days, however. 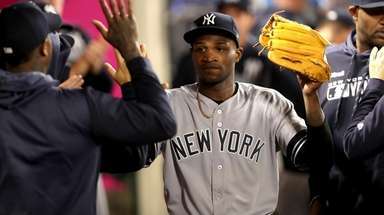 Bunch has enjoyed a successful second career as an actor, most notably making an appearance in "Django Unchained." 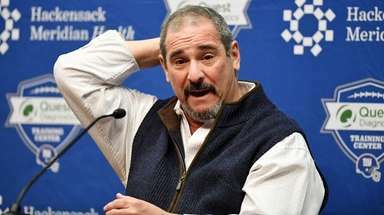 The Giants were so eager to get their hands on Brown that they selected him in the supplemental draft, surrendering their first-round pick in the 1993 draft. 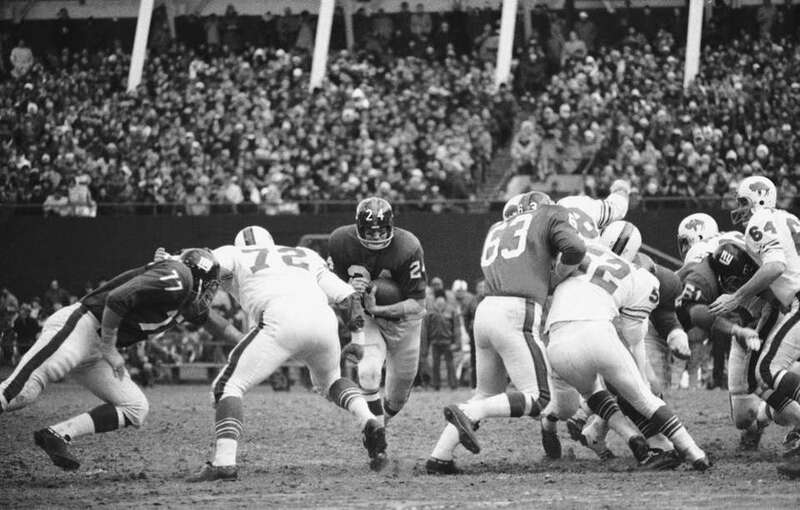 Brown threw for more touchdowns than interceptions just once while wearing a Giants uniform and finished with a career record of 23-30 in New York. He's considered by many Giants fans to be the worst quarterback in franchise history. Brown enjoyed a nine-year career in the NFL but was a complete non-factor during his time on the Giants. 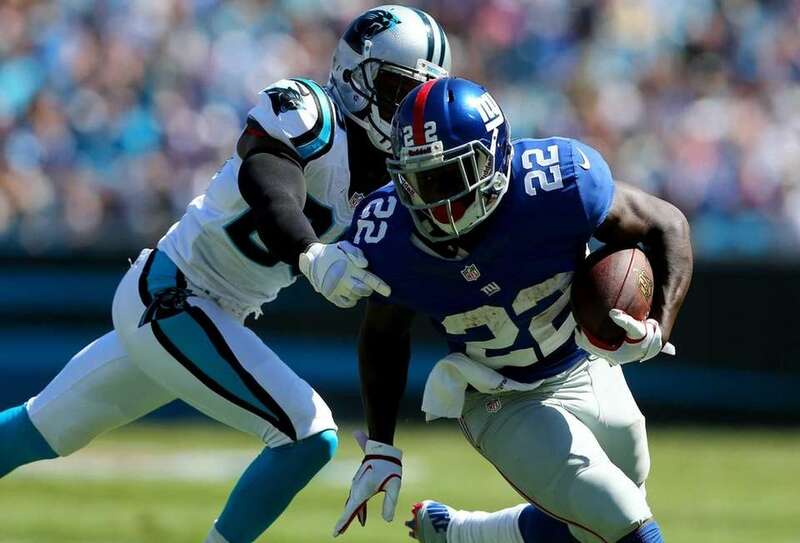 Despite his 6-6 frame, Brown only caught 11 passes in three seasons in New York for a grand total of 87 yards. 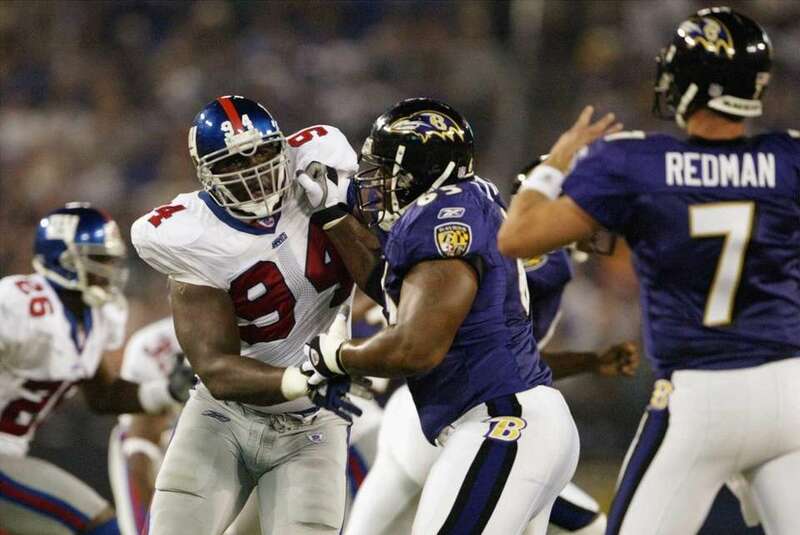 Jones, envisioned as a pass-rushing bookend opposite Michael Strahan, wasn't able to receive consistent playing time until 1999, his fourth season in the league. He picked up 10 sacks in his two seasons as a starter -- reaching the Super Bowl in 2000 -- before being released. Jones latched on with the Rams but never appeared in a game for St. Louis. 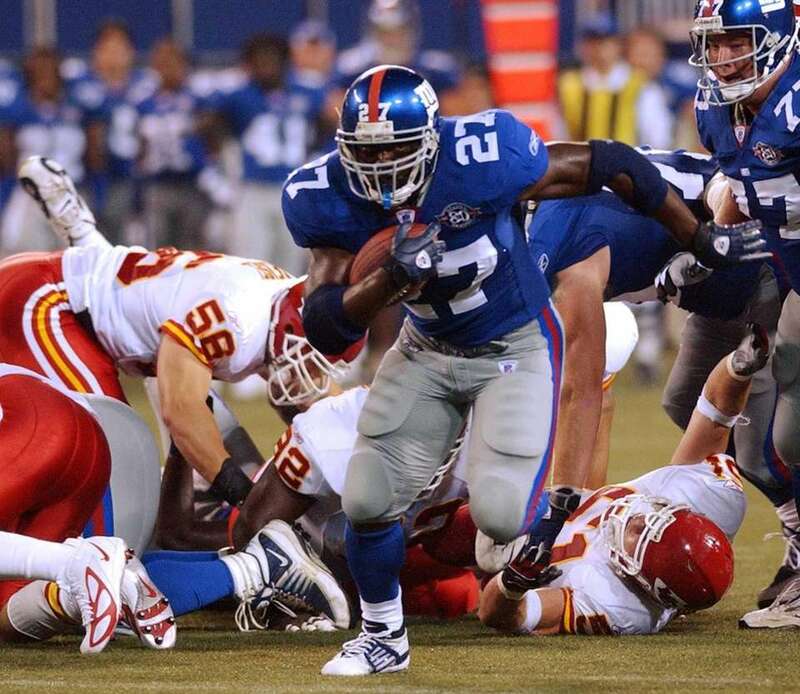 Once the "Thunder" in the Giants' "Thunder and Lightning" backfield combo alongside Tiki Barber, Dayne became derisively known as "No-Gain Dayne" before being dumped by the Giants in 2004. 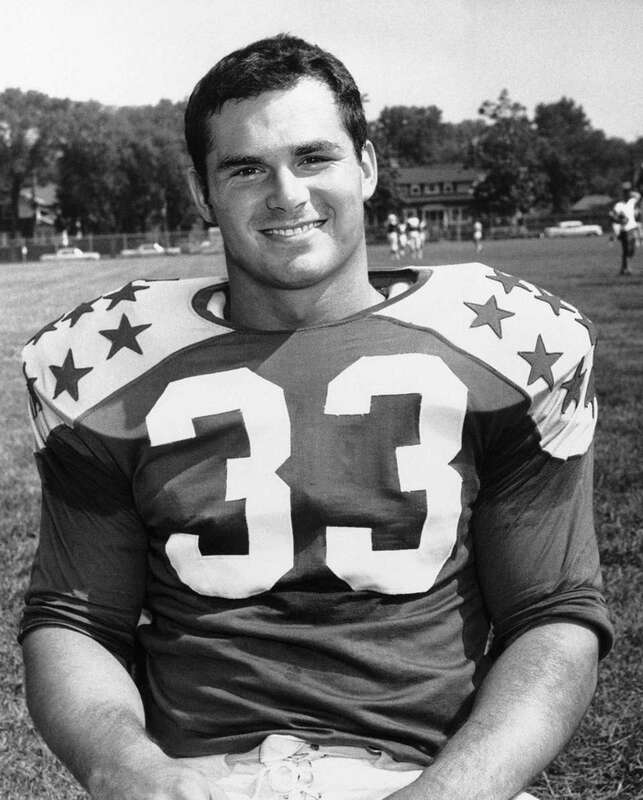 Dayne never averaged more than 3.8 yards a carry for the Giants and never was able to make the adjustments necessary to become a successful short-yardage/goal-line back. 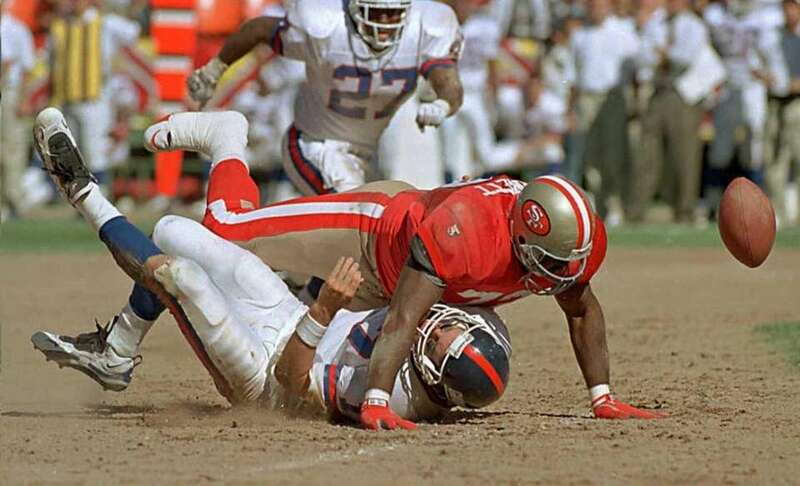 Joseph's career highlight came in his very first NFL game as he strip-sacked Kurt Warner in the end zone for a touchdown in a 23-13 Giants win over the Rams. He never started more than 10 games in a season for the Giants and was released after he spent the 2007 Super Bowl championship season on IR with a back injury. Envisioned as the Giants' possession receiver of the future when he was taken in the second round, Moss never developed into much of anything. 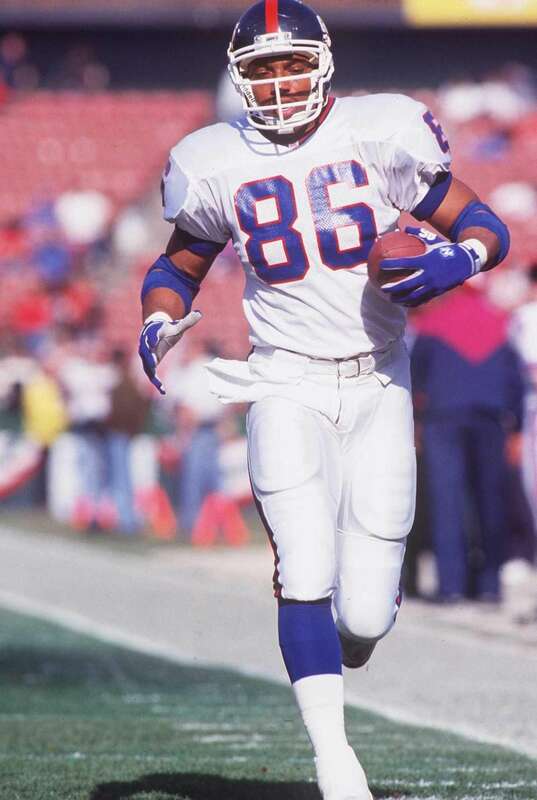 Recurring injuries slowed him down in his rookie season and beyond, and Moss finished his career with only 39 receptions for 421 yards and three touchdowns. 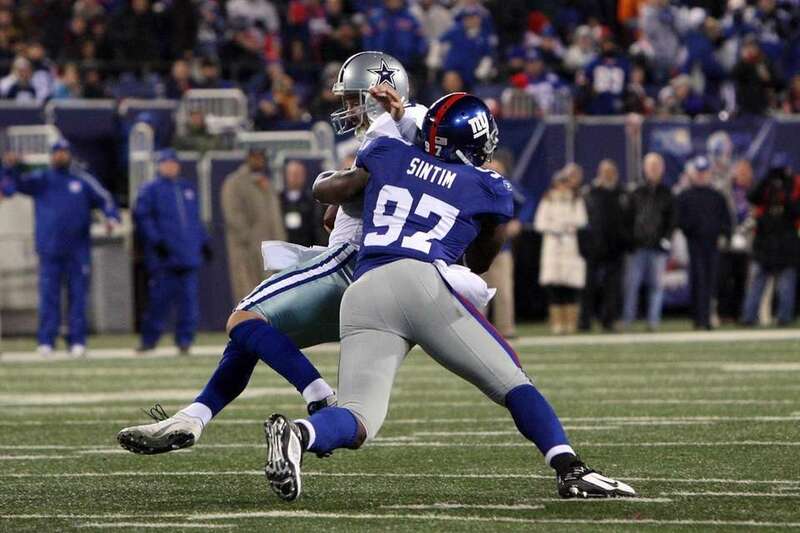 Sintim is commonly held up by detractors of Giants GM Jerry Reese as evidence of his purported inability to identify and develop linebacker talent. He recorded only 33 tackles in his first two seasons. Sintim never started a game and suffered two ACL tears, the last of which forced him into retirement. 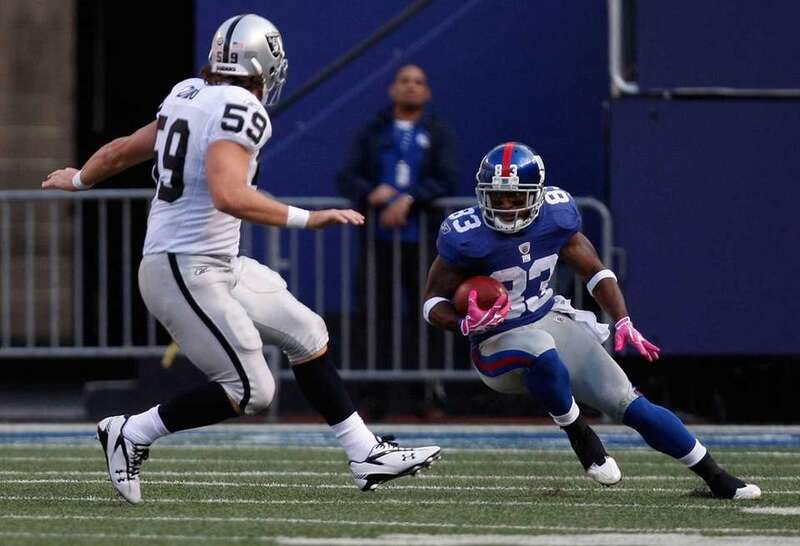 After showing some explosiveness as a returner and change-of-pace back during his rookie season in 2012, Wilson was expected to take on the lead role in the Giants' backfield in his sophomore campaign. Fumble troubles in the first game of the season against the Cowboys put Wilson in Tom Coughlin's doghouse and a neck injury he suffered against the Eagles ultimately resulted in a career-ending spinal stenosis condition. Wilson is currently in the process of reinventing himself as a triple jumper. Hit or miss: Giants 1st-round picks since 1986 Giants NFL draft historySort through the Giants' entire NFL draft history.